Jase turned T-W-O on May 8th…and WOW, what a FAST two years this has been! We celebrated with his second birthday party at our house on Saturday, May 9th. We had the party at 3:30 so it would be after naptime for all my friends with littles. 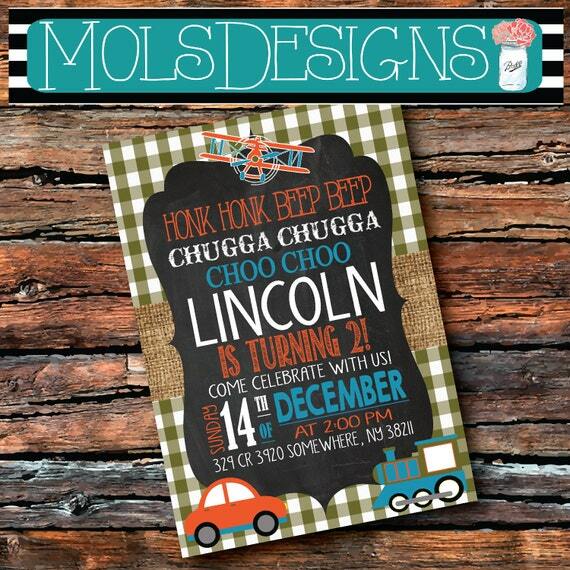 Since he is SO into cars/trucks/planes/trains right now, we decided it would be the theme for his party. My mom was a tremendous help, as always. She is the queen at bringing Pinterest parties to life, but honestly, she was the creative party planning queen before Pinterest was even cool. I sure wouldn’t be able to pull off a shower/party without her help. Any of the neat details & cute ideas? All her. And the decorations & food. My BFF since 6th grade (Chelsi) came up from Tifton, and it was SO good to see her. She looked GORGEOUS (new job & new house are looking great on her) and she was a huge help in the kitchen getting all the food ready. LOVED seeing her!! I know Jase and all of his buddies & the kiddos had a blast running around, but honestly, I think I enjoyed the party as much or more than he did. I thought my heart might burst with pure joy and thankfulness as I looked around and spent a few minutes catching up with everyone. I pray daily that our children will be surrounded by people who love the Lord and point them to Jesus, and God has been SO faithful to answer that prayer in our friends and family. For me, it was such a laid back afternoon full of FUN, laughs, and lots of loving on our sweet Jase, and my heart was so full. And since I have been so awful about remembering to take pictures lately, I bought a brand new SD card and decided to LOAD that baby up! He was just NOT that into opening presents. We tried to keep him over there, but hey, he’s two. The big kids enjoyed “helping” and I can assure you he has been LOVING playing with all the new toys ever since! They’ve been all over the living room ever since and he is having a BLAST! Thank you all for the sweet gifts. Fun with the fam after everyone left! Thank you, thank you, thank you to everyone who came out. It was a beautiful day filled with lots of sweet memories. And don’t worry, next time we will either have a shuttle up and down the driveway or just go to the park instead! Haa! Happy 2nd Birthday, sweet Jase. You are so very LOVED!! !